FILE – Electronic Language International Festival, the largest art and technology event in Latin America, expands into public spaces with FILE PAI – Paulista Avenue Interactive. The intention is to take art into the urban space and interact with people’s lives, as art is no longer necessarily confined to museums and art galleries, and is to be found on the streets, on the sidewalks, in the squares. Technology has helped art become mobile, becoming part of the daily rhythm and environment of the city. FILE PAI 2017 is part of the exhibition LAWRENCE MALSTAF: The Poetics of Immersion, which runs from 22 July to 18 September at the Banco do Brasil São Paulo Cultural Center. In this solo show by the Belgian artist Lawrence Malstaf, he explores the creative interdisciplinary relationship between art and technology. His installations and performances lie at the frontier between visual arts and theater and use physics and technology as their inspiration. It is the first edition of FILE SOLO. Entrance to FILE PAI 2017 and FILE SOLO is free. “To Reverse Yourself” is a freestanding mirror that creates an interaction between two viewers. The mirrored panel, with its cut out made for a participant’s face to fill, reflects a hybrid image that combines the viewer’s body and the participant’s face. The “Singing Tunnel” transforms pedestrian tunnels into inspiring and creative spaces. When someone sings in the tunnel, a computer detects the pitch of the notes and sings back the same note, with a beautiful choir. The “Singing Tunnel” is also self-learning. The installation remembers all notes that everyone have sung – and when no one is singing, it can sing its own melody created by the most common notes sung by everyone. “The temptation of Saint Anthony” explores the uncanny creativity of Hieronymus Bosch. The 360° experience transforms his triptych in an animated space and allows us to dive into one of the masterpieces of this undeniable genius from the Middle Ages. The pavilion “Little Babylon” is an inflatable ‘data-parasite’. It can be placed at random locations in cities to collect data about them and then to communicate this data with the audience in an interactive way as a dynamic, audio-visual show. The pavilion personifies the digital city and mines twitter for specific topics and translates this data in movement, visuals and sound, which together show the sentiment and temperament of the city. 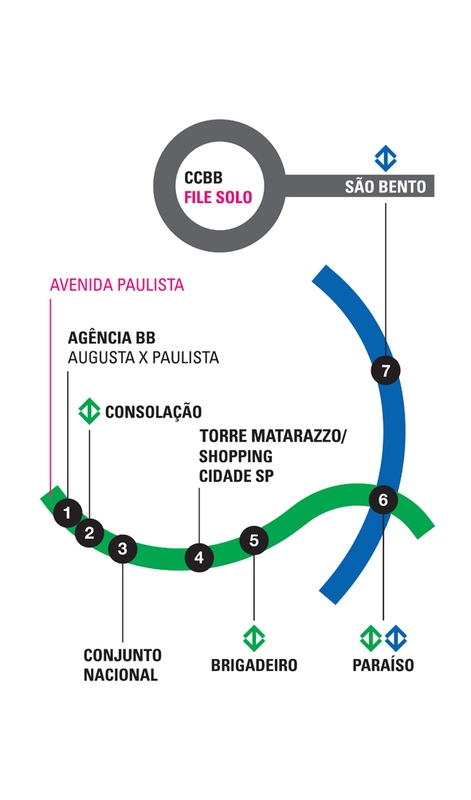 Nearby Sé and São Bento subway stations. Book your visit through EVENTIM app to avoid queues.